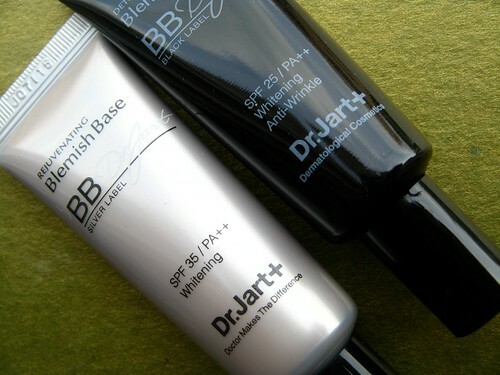 You guys know how much I love my Dr. Jart BB Creams. Now, the kind folks behind the brand want to share the love! 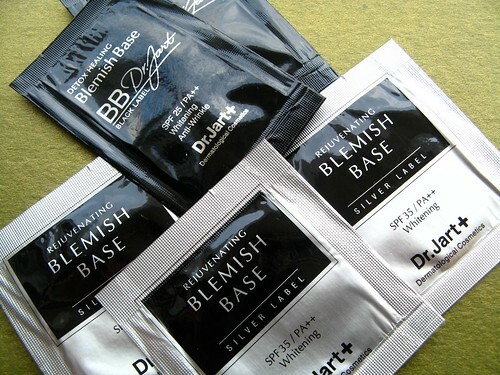 We will be giving away 15ml tubes of the Black and Silver Label, as well as a few samples. 1. 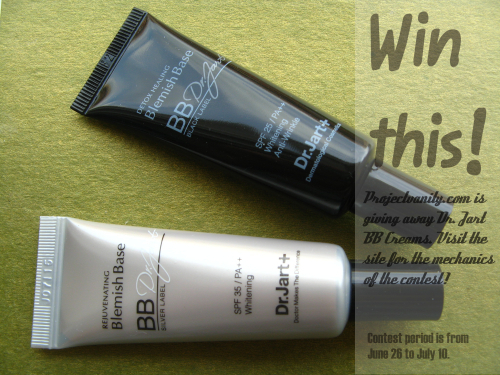 Answer the question: What BB cream variant do you want to win and why? 2. Post your answer on your blog (5 raffle entries), Facebook page (3 raffle entries - make sure the post is set to public so I can view), Twitter account (1 raffle entry), and/or Plurk account (1 entry). 3. Make sure that your post includes the following: the contest poster as seen above, a link to Projectvanity.com, and the contest mechanics. You will be disqualified without all three requirements in your post. 4. Lastly, leave a comment on this post providing the links of all your contest entries. If you don't leave a comment, I won't know you joined. Open to Philippine residents only. Simply follow thePOC.net's Beauty and Fashion Channel on Facebook. This will entitle you to three raffle entries. 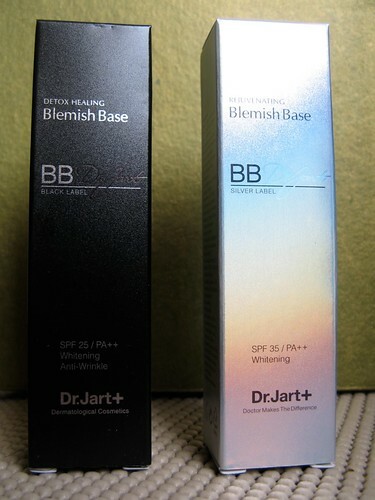 There will be two winners each receiving the BB cream of their choice. I will use Random.org to draw the lucky winners. Contest runs from June 26 to July 10. I will announce the winners on July 11. Post away! Have fun, ladies, and have a great weekend. Forever 21 in the Philippines, opening July 2!